ZUK SGC, ostriches’ growers, was presented with the first green energy certificate from Imlitex, UAB. 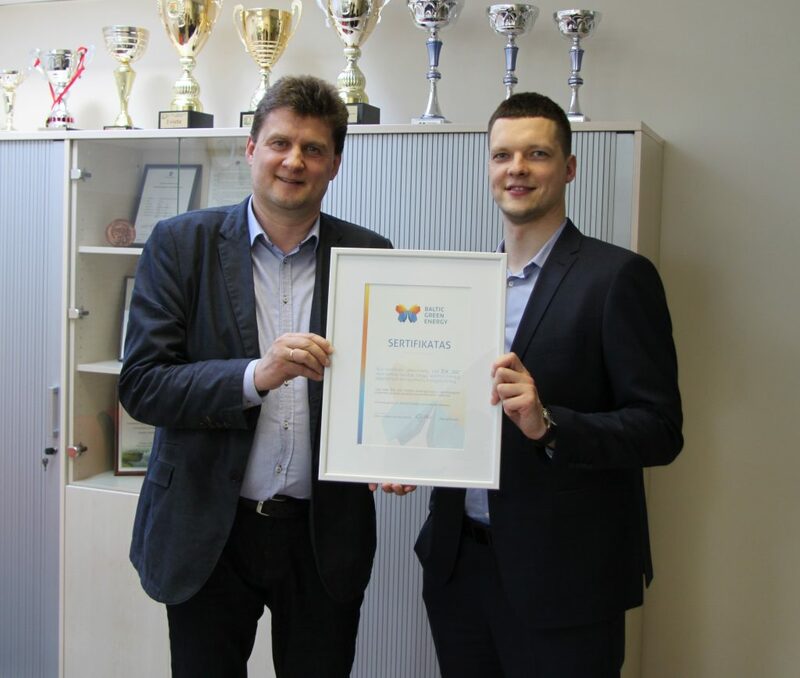 “The Baltic Green Energy” certificate confirms that the customer consumes electricity from renewable energy sources – wind, solar, water or other sources in his activity. “Having started trading guarantees of origin, we decided to create a separate brand for the “green” electricity product that customers could use in their communications. Social responsibility and environmental sustainability are becoming more and more relevant to value of companies, so we wanted to issue a certificate confirming this for every our customer, who is buying electricity from renewables. We believe that with the BALTIC GREEN ENERGY brand, we have succeeded in conveying what is the essence of renewable energy – the return to natural resources” said Regimantas Juška, Head of Electricity Business Department. The BALTIC GREEN ENERGY certificate, which certifies the origin of the supplied electricity, soon will be provided to several dozens other customers who have signed contracts for the supply of electricity from renewable energy sources.